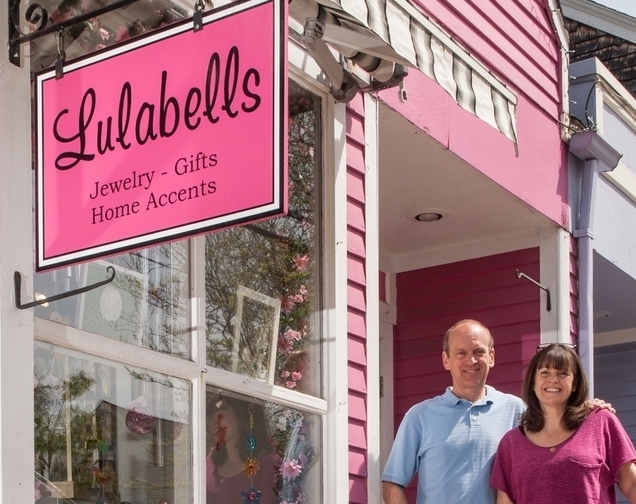 Lulabells is a family owned and operated gift shop located in historic Wickford Village. Owned by Susan and Donald Robertson, they opened their first store, Wellspring, in 2000 in Newport, RI. Their second location, Lulabells, opened in 2008 and features a wide variety of gifts for all occasions. We continually seek out new and unique gifts, hand crafted throughout New England and the USA. Be sure to visit our Products Page for more information on locally made items as well as a list of some of the brands available in the store. Open daily throughout the year. Come in and say hello and let us help you find the right gift for you.